Touch Light Chiropractic employs a new type of chiropractic care that uses very little pressure to get results. 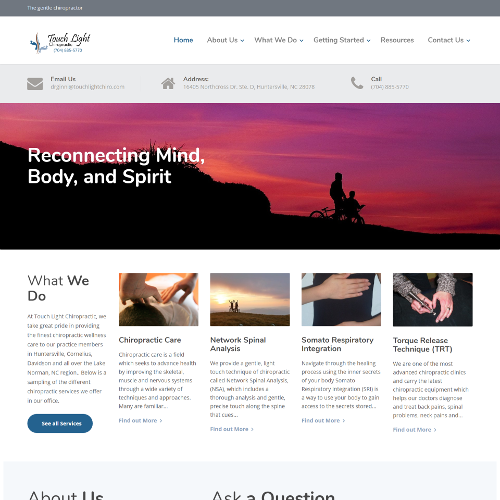 So they wanted a website that was light to the touch as well as to the eye. The result is a very fluid site which contrasts light accent colors and bright splashes of color with an easy to navigate layout.